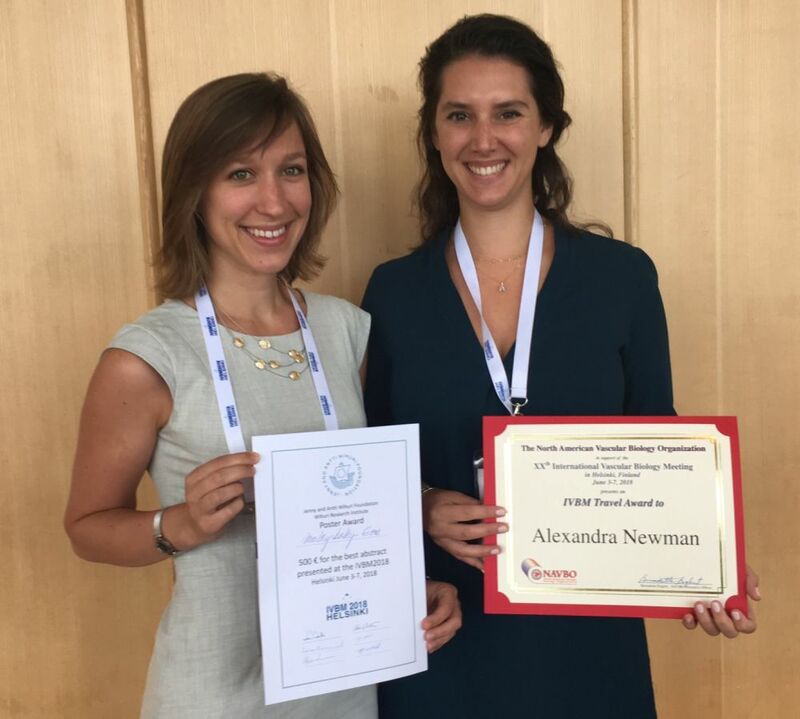 Molly and Alexandra Win Awards at the International Vascular Biology Meeting! Alexandra Newman and Molly Kelly-Goss just returned from Helsinki, where they attended the International Vascular Biology Conference (IVBM). Alexandra presented her research on the effects of lethal irradiation on atherosclerosis pathology. She was one of eight pre- and post-doctoral students selected from institutions around the world to receive the NAVBO Travel Award. Awardees were chosen based on the top-scoring abstracts submitted. Molly Kelly-Goss was awarded the Wihuri Institute poster prize. She was one of over 600 poster presenters vying for the award. Molly’s poster covered her novel imaging technique used to visualize corneal microvascular angiogenesis.